I have a 4yo blind gelding. He is halter-broken and is very quiet natured and eager to please when working with him from the ground. I believe he can see some things, as he maneuvers around our 64 acre pasture with the other horses very well. When I’m leading him and we approach an object on the ground I halt him and give light pressure downward on the lead, and he’ll put his nose to the ground to investigate before continuing. I’ve led him across a variety of terrains, and he follows the other horses through gullies, into the creed, and all around our wooded areas and fields. Our farm is a working farm, so he is accustomed to other horses, cattle, rifles firing, dirt bikes and 4-wheelers, tractors, logging equipment, etc. To date nothing has frightened him. My question: I’d love to begin riding him, just at a walk, just on our farm in familiar territory. I was at one time an avid rider and have handled many horses with a variety of temperaments and issues, but I’m now in my 40s with five children so I have little time to trailer to other places for lengthy rides. I just need quiet time with my equine friends. My veterinarian says Stitch is healthy and sound. I have placed a saddle on his back, girth in place. His feet have been trimmed, no issues there. What’s your opinion on riding this beautiful horse, and do you have any suggestions for starting him — should I continue as with any young horse, or do anything special? You might ask why in the world I’d want to even attempt this, but it’s just a personal issue, my belief that an otherwise healthy, active young horse should have a purpose in life just as people need to be needed. Stitch was brought to me in a rescue effort by a young lady who knew his owner and the owner planned to euthanize. My vet recommended she call me, and Stitch arrived a few days later after a 200-mile trailer ride (owner surrendered ownership). I admire all you do and trust your judgment completely. If you have any suggestions, please consider responding. I know this won’t exactly be the most common issue but I did find your question interesting. One of the reasons I found it interesting is because the ANSWER is an interesting theory. For me an interesting theory is one that can be used in many areas of life. Here are the theory’s. #1- Maybe there is no right or wrong answer here. #2-Look at managing your risk. So Paula, in your case #1 there is not a direct right or wrong answer in my opinion. So most of the answer comes from #2- what is the risk, are you willing to accept the risk, and what is the best way to manage the risk. Riding any horse is risky. Actually just this morning I had a horse fall on me. I was riding Popcorn in my well groomed outdoor riding arena and when I made a sharp turn to the right (teaching Popcorn to accelerate during a sharp turn) when his feet slipped out from under him and he went down on his right side. I curled my legs to try to avoid the fall but found that he was already laying on my right leg. I curled up and said a prayer that my foot would come free as he stood up (prayer answered!). Riding can be risky. I wasn’t going much over a regular lope. So riding can be risky. You will need to factor in additional risk because of your horse being blind, or partially blind. I had the chance to work with a horse that was 90% blind in one eye and around 60% blind in the other. Even those numbers are hard to determine because it was also discussed that it was light and shapes more than clear sight we were talking about. This horse got along in the pasture by touching another horse to follow along. The horse was halter broke and led well although she wanted to touch you all the time. Groundwork went OK and I even saddled and rode a little in the round pen. That is when I decided the risk was passing my comfort zone. I had three young kids and the horse was much less confident when away from other horses. The toughest was if the horse did spook, which was not often, but when she did she was unaware of what she might run into (wall, round pen, falling over things on ground) I wanted to be honest with the customer about the amount of money he was spending and if it was a good investment. We decided to stop where we were at. I think the horse could have been trained for something. It would have taken extra time and lots of judgment to keep both horse and rider safe. And that is what you need to consider here. The risks to yourself and your horse depending on the situations you choose. ← What if you woke up today with only the things you thanked God for yesterday? I have a 15 yo QH mare who is completely blind on her right side and is the most solid horse I have rode I sort cattle with her and she does awesome, she doesn’t spook at anything and can be rode on the road with her bad eye to traffic and nothing. I think her being blind makes the bond between us even stronger because she relys on me for half her vision. I too am mid forties and am attempting to break my one-eyed 2yr colt this coming summer. He lost it early due to injury. It is a high risk factor at this age as we don’t bounce like we used to even though we generally now have more padding at this stage in life! From day one when I picked him up he was extremely intellgent and we bonded instantly. He’s been excellent at ground work, saddled, tried everything crazy to spook him and nothing fades him “yet”. I do know the day will come once we get outside our working comfort zone … what then? Big mortgage, truck payments .. self employed … the thoughts nag me the same as you. My stubborness and will to succeed will take me day by day. If I do not succeed, he will become the trick horse I’ve always wanted – just not under saddle. A horse is a lifetime commitment in my eyes and there are few that don’t deserve the chance. Only you will know how much is too much risk ,take it one day at a time and may God look over us. my dads old horse that i later got to learn on had only one eye and he was blind the las years but we did every thing. i had to teach him to jump when i put my toes on his shoulders he would jump. he was great. How did you do that? My horse is blind in one eye and I’d love to teach him to jump. Great weblog! My spouse and i really appreciate how it’s simple on my own eye plus the details are properly created. We are asking the way i might be notified every time a fresh publish has been given. We’ve opted in for your current rss feed that will do just fine! Have a good day time! here’s a video at the 2010 Extreme Cowboy Race at equine affaire…i THINK that was the year that stacy westfall was there too… but i could be wrong. The vet told this girl that they should put him down, but she refused and worked with him through it. She taught him to do everything the cowboy race required including jumping barrels. there was not a dry eye in the coliseum when Craig Cameron told us during the pattern that Stormy was blind. Janet, I also use my horse in EAGALA Level 1 therapy. She is great on the ground and very friendly, if not skeptical. I didn’t even think about suggesting equine psychotherapy and learning or hippo therapy for the blind horse. You are so right about the potential job for the blind horse. When I read this, my first question was “How safe is this horse accually gonna be? and what are your plans afterwards.” We know that there is going to be some huge trust issuses and that you and the horse are goning to have to create an increadable bond. Can it be done? Oh yeah it can. Then after pondering awhile I thought why would you wanna train it to be ridden when maybe the plan for this horse is to a more unconventiona way. By this, the horse and rider would be safer on the ground and there is lots of places that use horse in a theoputic way, Where working with them on the ground can build confident level and trust issuse to the for ground in the treatment of depression, anxioty, eatting disorders and other types of mental issuses. So my real thoughts on this question, is if you really feel this horse needs a job then find him a place where he can work with humans over coming some of their life struggles, and let him shine without having to beridden and become dangerous just because he has a disablity. I agree with Stacey that it all depends on how much risk you want to take. 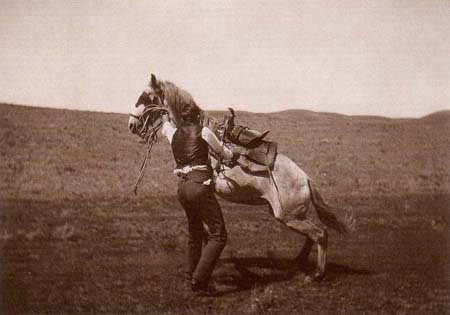 Riding a blind horse is different than riding a sighted horse. 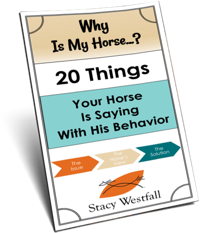 The horse needs to understand and respond to verbal cues as well as rein and leg cues. 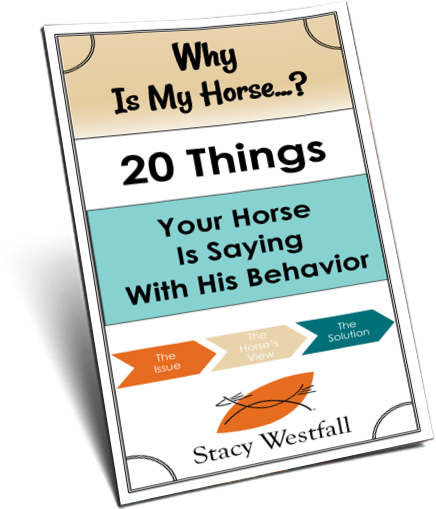 You have to watch where you’re asking the horse to step and verbally cue the horse what it’s stepping into. A blind horse is definitely not an unridable horse. There are many blind horses competing and winning in almost all events. It just takes more communication between the rider and horse. We got our mare Sierra when she was partially blind in one eye. Now she’s completely blind in the left eye and partially blind in the right. Her method of spooking (when she does), luckily, is just stopping. Some things that would send another horse running the other way, she wants to go investgate (like gunshots during hunting season). It is very challenging and entertaining. My 19 yr.old horse has been blind in her left eye for 4 years now. since I bought her. I began re-training her in natural horsemanship , which included my re-training also since having gone 22years without a horse. I have been told to treat her as if she can see perfectly. This has worked most of the time; however, I have side-passed her into a post a couple of times at the beginning of our training on the ground—I felt soooooo badly and now I do remember she cannot see out that side…so we adjust. to the situation. I am now working on her figure 8’s at liberty in the round pen and she goes to the right easily. However, she is quick to adjust to NOT let me step to my right to get on her left side to send her around to the left….so far I have to do it quickly or she will turn to keep me in her right good-sighted eye. Also, when she lines up to the fence to allow me to mount her, she ALWAYS wants her good eye on the rail. Maybe because she at one time could see, she is easier than completely blind. Wow, I´d be so special if the horse gets trained well. I´m psyched about Paula´s motivation, it´s beautiful! No horse is useless. And I believe you can do it!